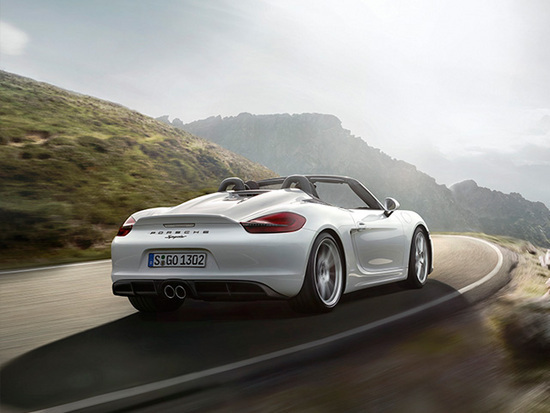 Porsche announced the Boxster Spyder hours before the world premier at the New York International Auto Show tomorrow. The newest addition to the Boxster family sports a 3.8-liter 375-horsepower flat six that was pulled from the 911 Carrera S and trickled down to the recently announced 385-hp Cayman GT4. Priced at $82,500, the Spyder also slots right between the $84,600 GT4 and $75,200 Cayman GTS performance and price-wise. Air-conditioning and radio are no-cost options. What do Spyder customers get with this special, lightweight Boxster? Aside from the obvious boost in horsepower over the 330-hp 3.4-liter mill in the GTS, there’s a mandatory six-speed manual transmission, 180 miles-per-hour top speed, and a 0-60 mph time of 4.3 seconds. 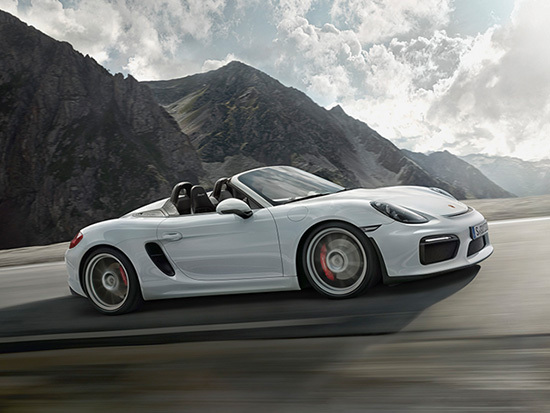 That’s a six-mph increase in top speed over the Boxster GTS and 0.4 seconds from zero to sixty. Suspension is lowered by 20 millimeters and the brakes are taken from the 911 Carrera S. Porsche says the steering is more direct and the Spyder is the lightest Boxster, though no weight is specified. No 911 GT3 or Cayman GT4 suspension bits are present. 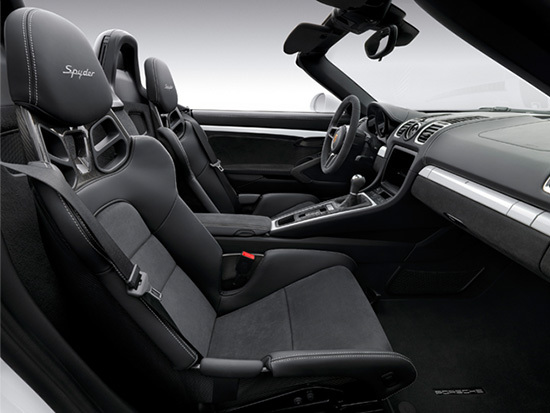 Porsche states the Boxster Spyder draws its style from “legendary sports and race cars from from Porsche.” Specifically, the “two prominent streamliners that extend down along the sweeping rear lid behind the headrests pay tribute to the 718 Spyder from the 1960s.” And the previous Boxster Spyder. The front and rear fascias of the Spyder are unique to the car, and driver and passenger are treated to standard Sport Seats Plus inside. The steering wheel is 360 mm in diameter compared to 370 mm in other Boxster models. Scroll down for the official Porsche press release.